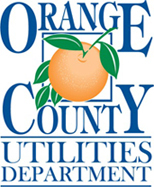 Orange County, FL – Beginning January 1, 2016, residents of unincorporated Orange County will begin using their county-issued, 95-gallon roll carts to collect their household garbage and recyclables. The carts are one of the changes residents will experience when the county transitions to its new automated curbside collection program on January 1. With the release of the cart designs, residents can now see what will be arriving at their homes when cart distribution begins throughout Orange County from October to December. Residents will receive two carts: a garbage cart with a green lid and a cart for recyclable items, which will have a blue lid. The cart for recyclables will also have a 3”x13” in-mold label on the lid to clearly illustrate the items that can and cannot be placed in the cart. For additional recycling information, residents will be able to use their smartphones to scan the QR code on the label, which will give them access to the Orange County Utilities New Automated Curbside Collection Program website. Two different manufacturers will be producing the county’s roll carts, so residents can expect to see minor differences between carts based on their location. Residents located in commissioner districts 1, 2, 4, 5, and 6 and that are west of Orange Blossom Trail, will receive carts produced by the Rehrig Pacific Company. Residents located in districts 3, 4, 5, and 6 and are east of the Orange Blossom Trail, will receive carts produced by Cascade Cart Solutions. Both cart designs will take up a floor space smaller than that of the county’s old green and orange recycling bins and residents’ old garbage cans. Residents in Cascade’s service area will receive carts that have a height of 46 inches, a width of 23 inches, and a depth of 31.5 inches. Those in Rehrig’s service area will receive carts with a height of 45.13 inches, a width of 28.5 inches, and a depth of 33.73 inches. For more information about Orange County’s new Automated Curbside Collection Program visit www.ocfl.net/GreenClean2016 or call the Solid Waste Hotline at 407-836-6601. Pictures of the carts including the hot stamp and in-mold label along with a map indicating the cart manufacturer can be found on Flickr.